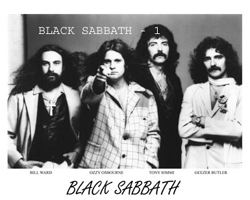 All Black Sabbath items listed below are authentic and very limited. We do not carry multiple items. All prices and availability are subject to change. All prices include shipping and handling for all USA customers. All other destinations will require actual shipping cost to complete transaction. Have a question? Ask us before purchasing the item. Thank You. Description: Reunion CD 1997 Birmingham Recorded Live At The NEC. Double CD signed by the four original Black Sabbath line up: Tony Iommi. Bill Ward, Geezer Butler and Ozzy Osbourne in silver sharpie pen. Note: Item signed while promoting their latest CD release in preparing for their 1999 Reunion Tour at the Sound Warehouse in Irving, TX. BONUS: You will get a set of 10-4x6 color photos taken at the Sound Warehouse signing. Photos are close ups of all members. 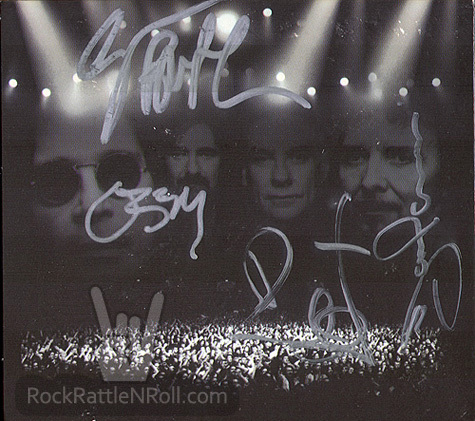 Note: Item signed by Black Sabbath while on their 2007 & 2008 Heaven and Hell US Tour in Grand Prairie and Dallas, TX. 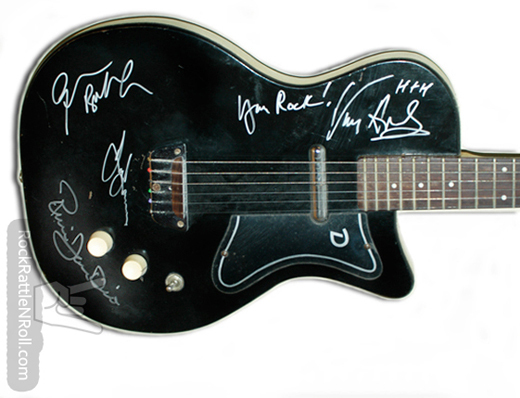 Signed by: Tony Iommi, Geezer, Butler, Vinnie Appice and Ronnie James Dio. 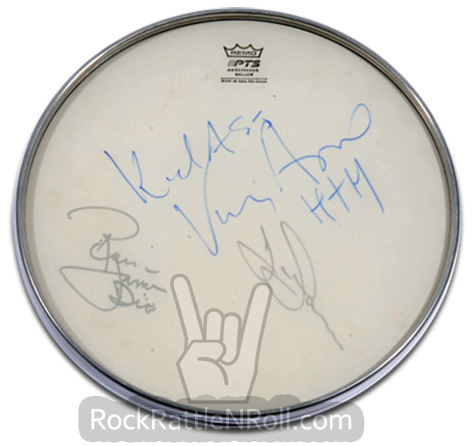 Description: 16" Remo Drum head Signed by Black Sabbath. Members: Ronnie James Dio, Vinny Appice and Tony Iommi. Signed in blue and silver sharpie pens. Note: Item signed backstage at the Smirnoff Center in Dallas, TX while on their 2007 US Tour. Description: Black Sabbath Tony Iommi Signature Guitar Pick. Reverse side Gibson logo. 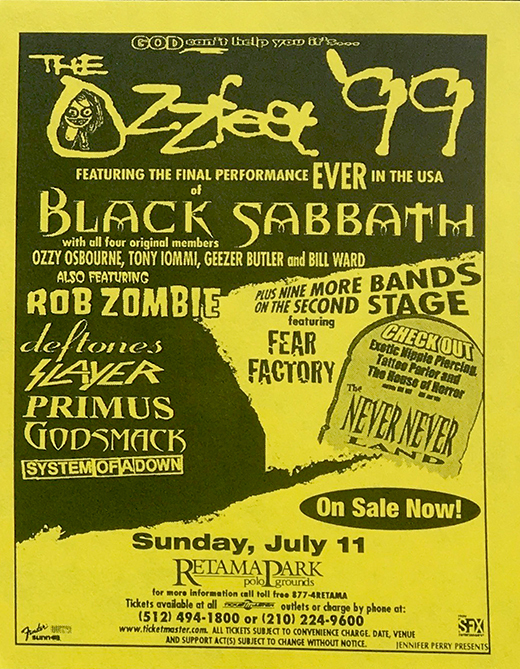 Description: Ozzfest '99 featuring: Black Sabbath, Rob Zombie, Deftones, Slayer, Primus, Godsmack. Size 3x4 Two Color. Description: Black Sabbath Tony Iommi Cross Signature Guitar Pick. Reverse side signature. 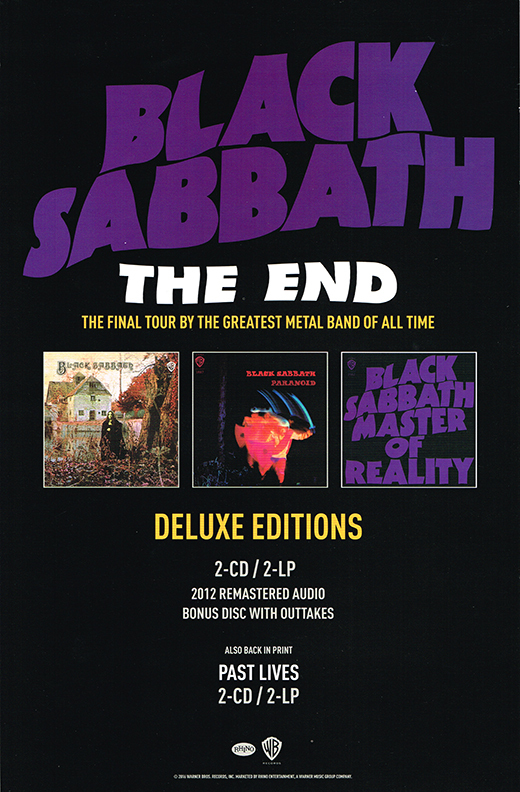 Description: Black Sabbath The End LP Promo Poster. Item in mint condition. Size 11x17. 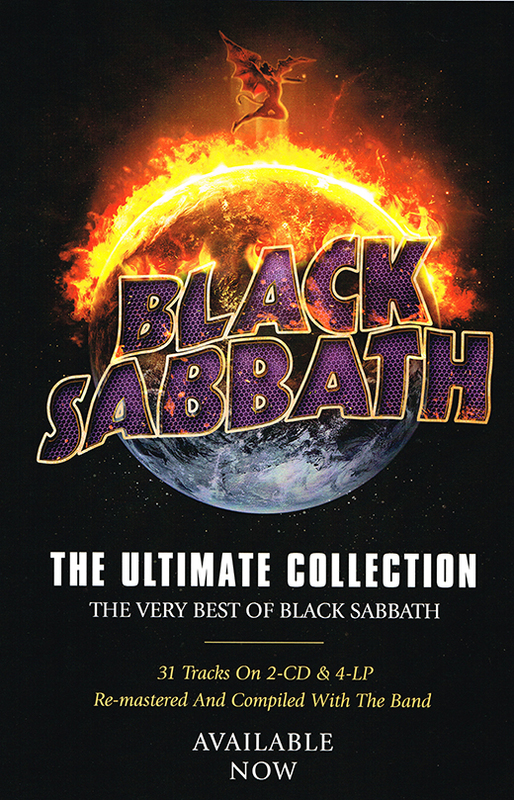 Description: Black Sabbath The Ultimate Collection LP Promo Poster. Item in mint condition. Size 11x17. Description: Ticket Stub in VG+ condition. Size 2x3 two color. Mob Rules Tour.